doorLink 3610 Traditional Raised Insulated Panel - The Wright Door Co.
DoorLink is a company based in Missouri, providing top-quality doors for residential and commercial use. We are proud to install their doors and love the options they have for homeowners. 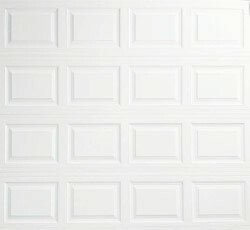 The Traditional Raised Panel 3610 is your standard, classic garage door. It is a beautiful, traditional look that goes well with just about any home style. 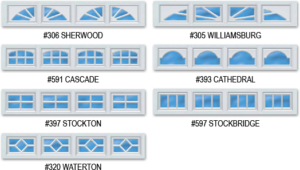 You can also choose to add windows and pick a color that works with the exterior of your home. These doors are insulated steel panels with a woodgrain embossed exterior that requires very little maintenance and is easy to clean. Freshen up the face of your home with one of these high-quality doors. Sandwich type construction with polystyrene insulation pressure bonded between two sheets of 26 gauge hot dipped galvanized steel enhances your home’s energy savings, makes your door operation quieter and reduces exterior noise in your garage.